HOW CAN I FILE BANKRUPTCY AND STILL KEEP MY PROPERTY? The most common question asked about bankruptcy is whether one can file and still keep all or most of their property. The answer to this question for most people is a definite yes. The reason they can keep their property is because of exemptions recognized by the Bankruptcy Code. In very simplistic terms the origin of bankruptcy amounted to little more than a liquidation of all property which would go to all the creditors in exchange for a clean slate. It was not unlike dumping all your property in the yard and then telling the creditors to "have at it" in return for forgiveness of all debt. This however, led to a bankrupt person being nearly completely dependent on others, like the taxpayer, for shelter and other necessities of life. Exemptions were thus created to allow the bankrupt person/ debtor to retain the objects that the average person needs to remain productive in society. The good news is that South Carolina exemptions are usually sufficient to allow the filer to keep all of his or her property. Here is a very very brief summary of exempt property (Property you can keep) in South Carolina: REAL PROPERTY (LAND & HOME): $53,375.00 CAR (vehicle): $5350.00. If there is a mortgage or car payment on the property, the exemption applies to any net equity (net value) remaining. So for instance, a car that is worth $10,000.00 and has $5,000.00 still owing on it is exempt because the exemption covers the equity of $5,000.00. Can I lower the payments on my home? Or my car? A chapter 7 bankruptcy will not allow you to change the contractual payments on your home or car. The debt will, however, be discharged. The reason most people still retain these assets even after going through bankruptcy is a result of protections accorded by State law such as the South Carolina Consumer Protection Code and the fact that creditors do not want the collateral. they just want payment. If you wish to retain your house and/or car that is encumbered with a lien (payment. mortgage etc) you must continue to pay despite the fact that you are no longer obligated to do so. Just like credit cards, finance companies, and even some (older) taxes, your house payment obligation and car payment obligation is gone forever. You can not be sued on the debt and made to pay, but unless someone pays for the property, the creditor can eventually sue for possession and later sell the property to someone else. A chapter 13 MAY allow you to change the house payment and (even more likely) car payment to a lower amount. If your car loan is over 2 1/2 years old, a chapter 13 debtor is allowed to pay the value of the vehicle through a new plan payment. This is often much lower than the contractual terms. Additionally, even a new loan will be lowered because the plan payment interest rate is often much lower. Additionally, the term of the loan can be extended out another 5 years if needed. A house is another matter. 11 USC section 1322 prohibits the modification of a mortgage loan (i.e. a house and land or a mobile home ATTACHED to land that is expressly covered by the mortgage.) 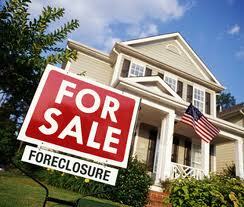 There is no prohibition against curing back payments, however, and this is how most foreclosures are cured. If a debtor is behind on his home mortgage payments, in the amount of $10,000.00 for example, he can pay back the $10,000 over 3 to 5 years at as little as $167.00 per month ( in addition to his ongoing mortgage payments, of course). GOOD NEWS FOR MOBILE HOME PAYERS. If your installment payment covers only the mobile home (i.e. you already owned the land or are renting the land,or the land the MH sits on is not even yours) here is some relief. Your mobile home can be valued just as a car is (see above).